Deserts are so amazing. Walking in the Arabian Desert in Qatar and just seeing a guy (bedouin) riding by on a camel is pretty interesting. What was he doing? Where was he going? 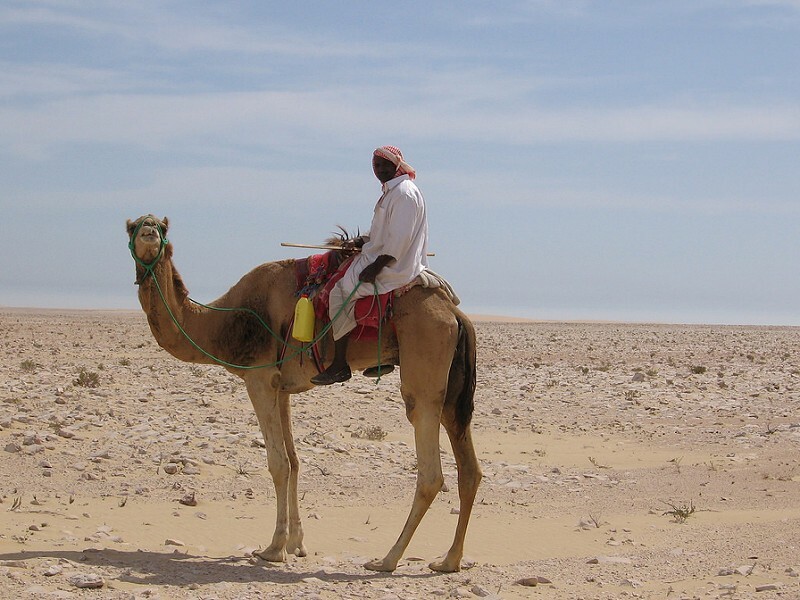 By the way, camels look slow, but they are not. 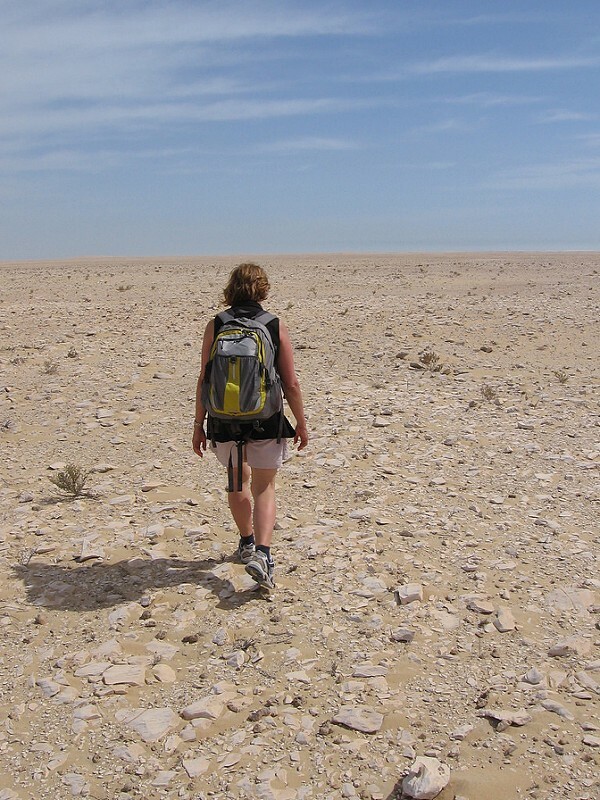 Ellie on one of our many hikes in the Arabian Desert in Qatar. No, it’s not the moon and the desert is not all sand dunes. A lot of rocks going on forever. Amazing and beautiful.